Obsessed with anything related to crafts, cooking, DIY, jewelry making, healthy living, essential oils, project management, saving dogs and cats, reading, and more. I'm obsessed with a little bit of everything which is a little bit me. Please help me raise funds for Dysautonomia Support Network; an organization near and dear to my heart. This amazing charitable, non-profit organization helps support patients and increase awareness of an illness of which I suffer. It would mean a lot to me if you could help – plus this t-shirt is adorable!! Aren’t these shirts cute?? Plus you’ll be helping a great cause! The Dysautonomia Support Network is a U.S. based 501 (c) (3), non-profit organization providing support, resources, education and advocacy for patients affected by the many forms of Dysautonomia and related conditions such as Connective Tissue Disorders, Mast Cell Activation Disorders, Chiari Malformation and Gastric Motility Disorders. Volunteers are trained to help patients through every stage of their journey, from diagnosis to advocacy. THey promote a positive but realistic environment and a sense of community in our national and state chapters. Dysautonomia (or autonomic neuropathy) is a term for various conditions in which the autonomic nervous system (ANS) does not work correctly. Dysautonomia is a type of neuropathy affecting the nerves that carry information from the brain and spinal cord to the heart, bladder, intestines, sweat glands, pupils, and blood vessels. There is no cure. There are only a few treatment options available. Very few doctors have an understanding of this illness and even fewer specialize. It took me 10+ years of seeing countless doctors before I was diagnosed and another 10 years before I found doctors who are actually able to work, treat, and manage my illness. I hope you grab one of these great shirts as your donation will help spread awareness. Help educate doctors and patients alike. Help research new treatments and look for a cure. Finally. Let’s move away from politics and go to something more fun. I listen in the evenings while going to bed with my headphones, blasting it while in the car, using my wireless speaker while in the shower, on my iPad while cleaning the kitchen, on my phone while exercising, while putting on my makeup, and even while I’m working. These are all times when I am either alone, shut off from the world around me, or even trying to focus/concentrate on the task at hand. There is only the music and my mind. Even while working the music helps the stream of consciousness becomes a professional presentation, project schedule, or a communication plan. 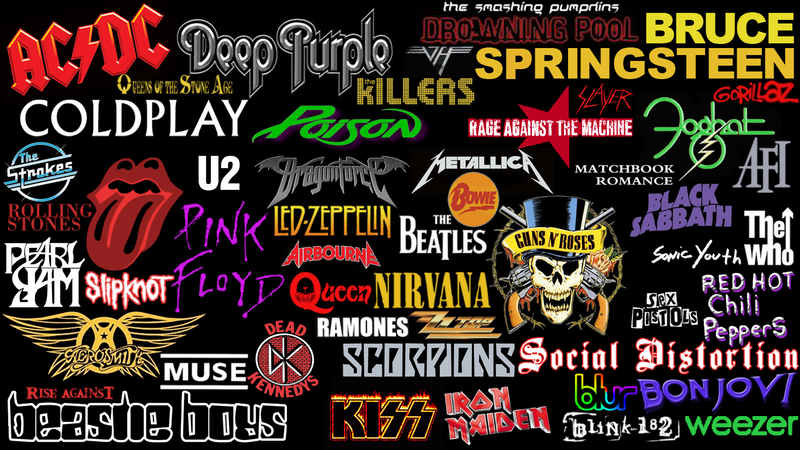 For me, more than film or TV, my favorite bands are a mixture of what I’ve loved since as far as I can remember to a few that I’ve only grown to love in the recent few years. With so many great recording artists and music across the generations, it’s difficult to say what my favorite of all time are now. I know this is about what’s my favorite in 2016 but were these my favorite in 2010? In 2005? Maybe. Sort of. Yes? No? I don’t know. Picking favorite songs was very much like picking your favorite child. For some, it was instant and easy while for others it was excruciatingly painful to narrow down to just five. I have allowed a few extra “special mentions” in this category otherwise this post would never get written. Make sure YOU comment with your top 5 favorite songs below!! The singing and dancing kill me every time I watch it. This is one of the silliest jazz songs of all time. The first song I ever sang when I was a kid. My grandma would play the 45 of this song on her record player when we were little. It was so naughty back in the day. One of the first Beatles songs. Casablanca – what more needs to be said? They you play this song at every wedding for newly weds. I danced to this song with my daughter on her wedding day. Powerful Words. No so much the first half of the this song but the second half – “A time of innocence….” – Memories. No words. Just a very powerful and moving song to hear. I really LOVE this song. My selection all come from various times in my life when music played an important role or signified a special event. I went through a massive oldies phase as a teenager, and this was my absolute favorite song from that time. We would drive around just waiting for it to play on the radio. If it came on, we couldn’t leave the car until it was done. There was one time when my best friend dropped me off at home, and the song came on as I was walking in the door; he ran back to get me so we could listen to it. I was auditioning for a show in my teens and we were asked to sing on the spot. This was during my country phase, and this was the first song that popped in my head. I’d always been nervous about singing in public, especially at that time but I gave it all I had. Too bad Garth Brooks is such a goober now. I cannot emphasize enough how important the game Rock Band is/was to me. At a time in my life when I was still adjusting to Nashville, Rock Band was a reason to bring people together to celebrate music. This is the quintessential song from the first game. Plus, I have a Rain-Man like ability when it comes to singing in that game. My wife and I chose to walk down the aisle to this song for a reason. It is beautiful and simple. This was one of the first bands that I discovered when they were small, so it felt like they were “mine”. Moppy hair/blazers – this is a good look for any guy. I can’t tell you how many times I saw them live over a few summers in my 20s. I LOVE this song. I’m a huge Bowie fan and especially since this track was on the soundtrack for Guardians of the Galaxy, I have to sing it about once a day. Kings of Leon is in my top 5 favorite so if I were to introduce someone to their music, it would definitely be some of their earlier work like this song. There was definitely a year in high school where I only listened to The Doors. And Smashing Pumpkins. lol. This is a song always gets me smiling and singing. Plus it’s a favorite on Rock Band. Scheherazade OP 35. Composed by Russian composers Rimsky-Korsakov in 1888. Honorable mention Flight of the Bumble Bee – same composer. I had to do this one as a Solo Viola for my final grade in orchestra my senior year in high school. Honorable mention Who Knows Where the Time Goes, same singer and songwriter. She was his muse and was instrumental in Cohen becoming a singer. He may not of ever become a become well-known if not for her. In My Life – The Beatles released in 1965 on the Rubber Soul album. Honorable mention-just about every other song by The Beatles. Honorable mention Good Morning Heartache-Billie Holiday 1946. Honorable mention everything sang by these 2 women. Because my mom can’t play by the rules lol. The definitive metal song. Honorable mention For Whom the Bell Tolls, Creeping Death (Exodus – 12:29), Nothing Else Matters and just about anything else by Metallica. Sounds of Silence – Simon and Garfunkel 1964. Honorable mention-anything else by them. Also the cover of this song done by Disturbed in 2015. My old favorite from my hoop it up days! I could listen to this song every time. Many bands have wisely borrowed the awesome groove and melodies from this incredible song. Mostly male artists and that sad we have so few women. It’s making us really evaluate the topics discussed in earlier posts about how we see women in art – regardless of type – TV, Movie, Music, etc. I think we can say the family loves The Beatles. Wondering….how many of us chose favorite songs from our top 5 favorite bands?